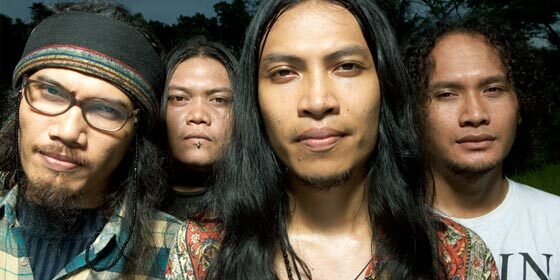 Since conquering the inaugural RØDE Rocks global band competition with their raw, energetic grunge sound, Balinese rockers Navicula have been busier than ever. After returning from their first North American show at the Le Festival Envol et Macadam in Canada they then went on to play a series of shows around the island of Borneo. They’ve also just been announced for the prestigious Sydney Festival, playing a headline show at the Manning Bar on January 10. Navicula’s frontman and guitarist Robi was generous enough to sit down with RØDE and talk about the issues driving their music, as well as their experience with RØDE Rocks. Your music is very focused on the environment and nature. How have the Indonesian and international communities responded to this message in your music? Robi: Much of our fanbase is unaware of the global environmental crisis we are facing. Through music, a media they can relate to, we hope that the messages help to raise awareness about these issues. Our latest campaign is focused on deforestation, the destruction of Indonesia's rainforests, the last remaining habitat to many critically endangered species such as the Sumatran Tiger and Orangutan. The remaining rainforest in Indonesia are on the islands of Sumatera and Kalimantan (Borneo), but the majority of the Indonesians are based in urban cities on the island of Java. We are currently on tour in Kalimantan, riding with Greenpeace activists on motorbike across 2000 kilometers of jungle to bear witness and document the destruction of the rainforest. In each city or village we reach, we are putting on shows to support Greenpeace in their campaign about deforestation. Our fan-base in Bali in Java have been active online following our journey and sharing their opinions about deforestation. Even if it's on a small scale at first, our goal is to move the public opinion to view deforestation as a critical urgent issue in Indonesia. The response has been positive so far. This tour to Kalimantan was funded through a Kickstarter (crowd funding) campaign, many of our backers were based internationally. Seeing our fans back the funding for this tour was so moving for us; to know that they are not just following the music, but also support the environmental messages we are campaigning for. Navicula has a reasonably large following online, across Facebook and Twitter. As a band that’s been around since the late 90s, how has your approach to self promotion changed through the advent of social media? Robi: When Navicula was formed in 96, the media always branded us as "too idealistic" or "segmented music" – so it was difficult to get any national exposure, especially television exposure. But now with social media, we can reach out to our fan-base directly, with or without the support of the music industry in Jakarta (Indonesia's capital city, and center of the music industry). But really how we promote the band is the same. It's just that through social media everything is faster and cheaper. Choosing our next single to release and having our fans react to the music is what is most important. Everything else we promote is simple building our image around the music. It all comes back to the music. You recently completed playing at the Envol et Macadam festival in Canada. How was it? Have you done much touring outside of Indonesia? Robi: Actually, the tour in Canada earlier this month was Navicula's first international tour. But it wasn't as much of a culture shock as you would imagine. Being based in Bali, we are used to performing in front of an international audience because there are so many travelers from all over the world passing through. The festival shows were so much fun. We put a lot of thought into our set list, especially considering language barriers, but in the end decided to still perform both our English songs as well as the songs in Indonesian. And it was great, the audience could still relate to our music even if they couldn't understand the lyrics. What RØDE mics have you used in the past? 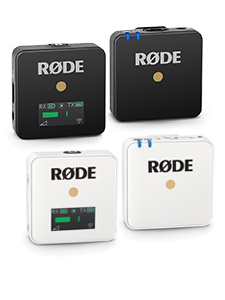 Robi: We often use RØDE condenser mics for recording drums, acoustic guitar, and vocals. 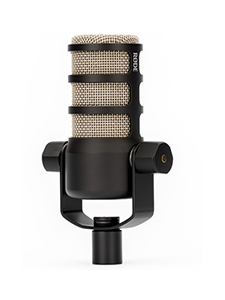 The RØDE condenser mics have a detailed high-mid frequency that work great for our recordings. In the studio, we try to capture the live feeling, so when people listen to the music, they can still smell our sweat. If you had to pick one contributing factor to Navicula’s success in the competition, what would it be? Robi: Probably the song we choice, "Metropolutan". The lyrics talk about the negative aspects urbanization and pollution in cities. It was inspired by Jakarta, Indonesia's capital. I think a lot of our fans felt like the song really reflected their situation and this connection to the music is the fuel to keep them voting and inviting their friends to vote. Navicula's winning RØDE Rocks entry, "Metropolutan"
Who was your favourite guest judge? Robi: Matt Sorum (because he liked our video, hahaha). But seriously, the first song I ever learned on guitar was "November Rain" by Guns N' Roses. I was 13 years old, and never could have imagined that years later Matt Sorum would listen to a song that I wrote. It still feels unreal. What aspect of the prize are you looking forward to the most? Robi: Recording with Alain Johannes as our producer. Navicula has recorded five full length studio albums, but we have never really worked with a creative producer. On our past albums, we have worked with producers, but none that had the right musical experience or reference for our style of music. For our new material we have been working on, since last year, before the RØDE competition, we were already using Queens of the Stone Age albums as a reference for the sound of the recordings. Alain was involved in the making of their albums, so it's a perfect fit. 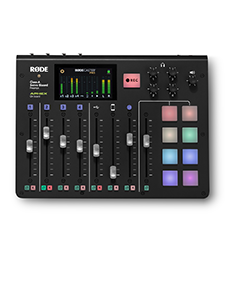 Is there any advice you could offer to RØDE users wanting to increase their musical audience online? Robi: Let your online audience listen to your music. If your uncomfortable giving your songs away as free downloads, at least let them stream your songs for free. If your listeners truly love your music, they will buy the physical album, merchandise and buy tickets to your shows. We found that if we don't offer the music online, eventually someone will put it online as an illegal download. By keeping the tracks official from our website and Soundcloud account, we can stay in touch with listeners to invite them to shows or sell merch online. And interact with your online audience. Don't just promote. If we release info on our next gig or latest single, that is expected. We try to make sure that a majority of our posts on Facebook and Twitter are unexpected… it could be anything really; funny moments while on tour, sharing music from another band we like, or updates on some of the environmental issues we campaign for. You’ve just been announced to play the 2013 Sydney Festival – how are the band feeling about this? Is there anything they’re looking forward to in Sydney? Robi: We are really excited about the Sydney tour. Australia is so close to Bali, so we are hoping to see some of our Australian fans that have seen us perform in Bali come to the gig. And being a part of the Sydney Festival is a great opportunity for us to break into the scene there. In Sydney we are also hoping to connect with conservation groups there, and share our experience campaigning for deforestation in Indonesia. One of the main threats to the Indonesian rainforest is palm oil plantations, and palm oil is used in many products all over the world, including Australia. So this campaign should be very relevant to the Australian audience. Navicula will be heading to LA in late November to spend three days recording at the Record Plant studios with producer Alain Johannes as a part of their prize for winning RODE Rocks. To find out more about their Sydney Festival appearance and to buy tickets, visit the Sydney Festival website.